When that girl messed up my book blog design, I wanted to punch her in the face. I've been trying to get it back to normal ever since. I may have cried a little bit. Back up your blog people!! I feel like 3 yrs of hard work just got screwed. All my posts are always scheduled. I'm usually ahead 1-2 weeks. I like that. But, sometimes I need to take a blogging break for a week and get some reading done. That's what I'm doing this week. I love to re-read books. Sometimes I need to re-read it right after I turn the last page. I just need to get into the story again. Some may say this is a waste of time. It is my time though, and I want to hold on to the magic just a little bit longer. I read to escape. 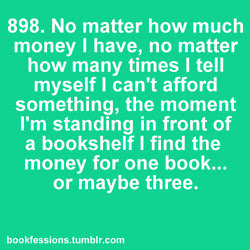 Sometime's I'd rather live in a book. I want another series like Harry Potter or Fablehaven by Brandon Mull. I need some good adventure! Where are those books?! I currently have 14 books in my NetGalley queue and that makes me feel guilty. It has been a lot higher, but I'd like it to be 0!! I also have a small stack of paperback ARCs waiting. They're staring at me on the shelf. I really want to read City of Lost Souls by Cassandra Clare, but I'm waiting until I clear some of my TBR pile. It will be my reward. I still prefer reading on my Kindle. I'm reading a paperback and it is totally taking me forever because it feels weird. I think I'd like to read some Non-Fiction. Maybe an interesting travelogue or something. I donate almost all of the books I receive from publisher's. I wish I could keep them but I just don't have the space. I'm glad I get to donate but sometimes I wish I could keep everything. EVERYTHING. I'd love a library. if you find that epic next harry potter series will you pass along the word?!? i've only read that series about a billion times! @Stacey I know!! The next best adventure fantasy series that I've read next to Harry Potter is Fablehaven by Brandon Mull. It's a cross between HP and Narnia. LOVED IT! If that series never ended I'd be happy. Love the pic, it is so true! Where do you donate your books to? I need to do this because I think my read shelf is about to fall apart. Bill Bryson is my favorite travelogue author. Have you tried him?